Colon cancer is the third most prevalent cancer for both men and women in the USA. It’s also the second most common cause of cancer-related deaths1—yet no two colon cancer patients, or their treatment needs, are the same. The Oncotype DX Colon Recurrence Score test is clinically validated to quantify the risk of recurrence of patients with anatomic stage II, MMR-P and stage III A/B colon cancers.2-5 The 12-gene genomic test (seven cancer-related genes and five reference genes) looks at the underlying biology of a patient’s tumor—so you can choose a treatment that fits their unique situation. The only genomic test for colon cancer with Level 1 evidence, the Colon Recurrence Score test gives you information that clinical and pathologic factors alone can’t provide. Developed over the course of multiple collaborative studies with both anatomic stage II and stage III patients, no other colon cancer multi-gene test is backed by as much data. These patients may have a larger absolute benefit from chemotherapy. These patients may have a smaller absolute benefit from the addition of oxaliplatin to fluorouracil and leucovorin (5-FU/LV). The Colon Recurrence Score report includes the “Recurrence Score result”, which is a number between 0-100. A low score means a lower chance of recurrence and a high score means a higher chance of recurrence. This simple reference point makes talking to patients about their test results easy and efficient. Learn more about Colon Recurrence Score test results. 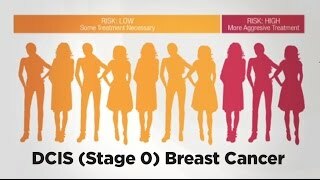 Four validation studies—QUASAR, CALGB 9581, NSABP C-07, and SUNRISE—confirm that the Recurrence Score result predicts the risk of local recurrence.2-5 In addition, studies show that physicians often change treatment recommendations based on the test results.8-11 Get more details about these studies. More than 1 million patients around the world have relied on the Oncotype DX tests for breast, colon, and prostate cancers to make better-informed treatment choices. 1. American Cancer Society, Inc. Surveillance Research. 2017. 2. Gray et al. J Clin Oncol. 2011. 3. Venook et al. J Clin Oncol. 2013. 4. Yothers et al. J Clin Oncol. 2013. 5. Yamanaka et al. J Clin Oncol. 2016. 6. Kerr et al. J Clin Oncol. 2009. 7. Sargent et al. J Clin Oncol. 2010. 8. Cartwright et al. Curr Med Res Opin. 2014. 9. Srivastava et al. Oncologist. 2014. 10. Brenner et al. Value Health. 2016. 11. Renfro et al. Clin Colorectal Cancer. 2016. Take an interactive tour of the Oncotype DX Colon Recurrence Score report. 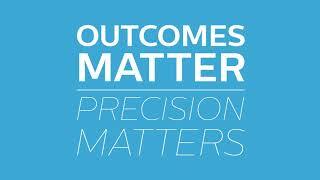 The Recurrence Score® Result is an individualized score from 0–100. Next to the score is an overview of the patient's risk estimate within 3 and 5 years. Data-supported prediction of the patient's 3-year recurrence risk*. *Based on the QUASAR study. On the next page, the patient's 5-year risk of recurrence* with 5-FU/LV with or without oxaliplatin. *Based on the NSABP C-07 validation study. The last page of the report is designed to help patients understand their results. Visually explains the patient's personalized risk of recurrence. Facilitates discussions and treatment decisions. Helps explain the benefits of genomic testing to Stage II colon cancer patients. Evidence Summary: Does Tumor Grade Matter? 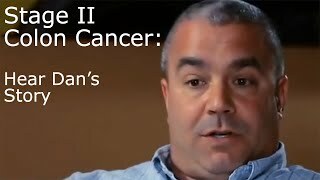 Why the conventional wisdom on tumor grade does not apply in Stage II colon cancer.